What are the daily schedules and how does it work? While you are still sound asleep the morning after you arrive, our guides are already up and about assessing the weather and snow conditions for the day. They will give you up to date information and help you choose the best ski resort for the day when they pick you up at around 8am. We then drive you safely to the mountain (if chains are needed to be fitted to vehicles, we do that, while you sit toasty warm in the van). We are usually on the slopes and skiing by about 9:30am. We do make sure we stop for lunch to refuel the bodies, which is key to maximizing the day. Don’t worry about wasting precious ski time though, as we know just the right times to stop for lunch to avoid café crowds, and that way we are back on the slopes while everyone else is inside eating! At about 3:30 or 4pm, once everyone is tired and satisfied after an incredible day of skiing or riding, we will drive you safely home so you can just rest those legs, take in the views, or perhaps get some shut eye. Once back in town we will make sure you have everything you need, whether it be arranging ski tuning, groceries, or takeaways for dinner. We will then drop you off at your accommodation and arrange a time to pick you up again in the morning. You can then relax at your comfortable accommodation, or go and explore the excellent restaurants and bars on offer in town. How do we choose which ski area we go to each day? Do I have to have a day off? No, however we do recommend a day off to rest. 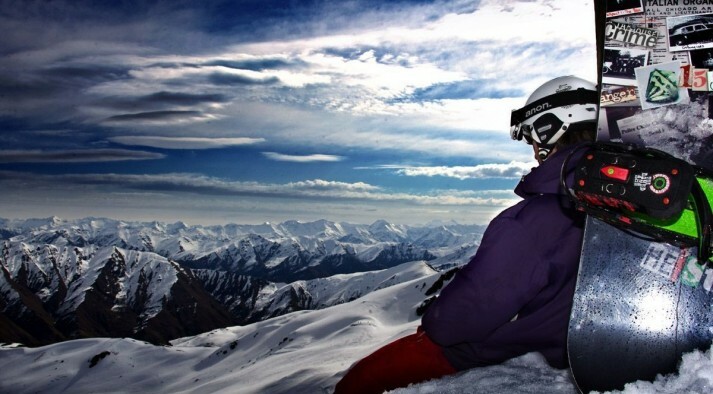 Skiing and riding is hard work and we find most people benefit from taking a day off snow. It is a great opportunity to explore the town, rest, or even enjoy another activity that is offer. Click here to find out more about some other activities that are available to do on your day off. If you have thighs of steel(!) 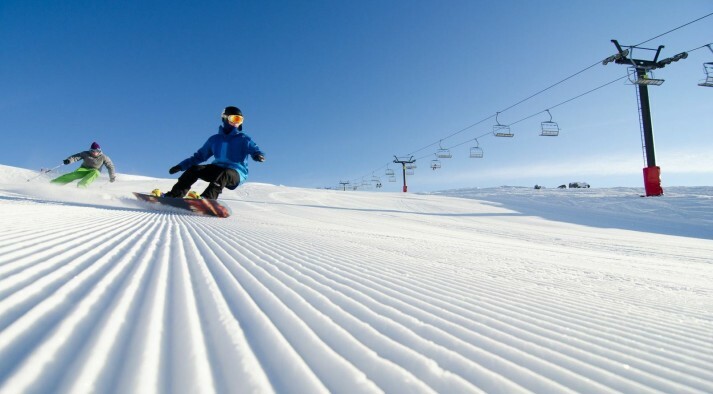 and want to ski or snowboard everyday then just let us know and we will accommodate you. After all, it is your holiday and you make the rules! What time do we leave for the mountain each morning? Departure time each morning depends on what tour you are on and how far we have to travel to the chosen resort. On our Wanaka and Tekapo Adventures we generally aim to leave town by 8am. If you are on the Craigieburn Adventure then you can have a longer sleep in as the ski areas are much closer! New Zealand is unique in that all our ski areas are tucked away in the beauty of the mountains, for that reason there are magnificent views. Driving times are dependant on which tours you are on and which ski area you are headed to. When you travel with NZ Snow Tours, you can just sit back, relax and even catch some extra sleep while we do all the driving for you. After an epic day of skiing or riding we usually leave the mountain at around 3:30 or 4pm, which is when the lifts close. If the whole group is ready to leave earlier then just let your guide know and we will head off when you are ready. If you are finished skiing or snowboarding for the day before everyone else, you can keep warm and enjoy a hot chocolate or coffee in one of the mountain cafes. Do we buy lunch or take lunch? Lunch is your own choice, you can take a packed lunch and leave it in the van or you can buy lunch up there. Depending on which resorts you are at there is different food available. The commercial resorts have a wide range in food in their cafes, however the club fields and small resorts the café food might only consist of a pie and a coke. Your guides will advise you of what options you will have once you arrive.